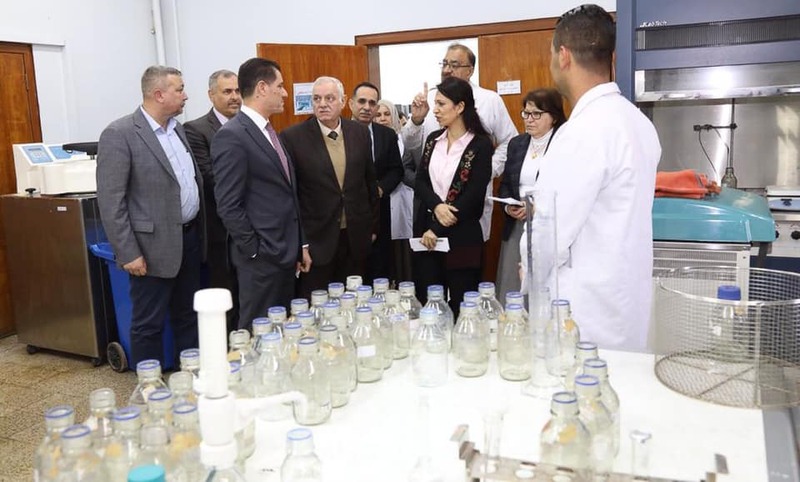 Minister of Planning Dr. Nouri Sabah al-Dulaimi inspected on Sunday the work of the Central Organization for Standardization and Quality Control and discussed means to enhance the work of the Authority and enable it to carry out its functions effectively in line with global developments. During his visit, Dr. Nouri al-Dulaimi announced the expansion of the horizons of regional and international cooperation after his recent meetings with the international community to develop and increase the laboratories that carry out inspections of food and equipment and various construction, engineering and chemical materials. During the meeting, the minister praised the quality efforts that led to the establishment of the specialized food testing laboratory, the first of its kind in Iraq, directed to new registration procedures aimed at protecting trademarks, and the non-leakage of counterfeit materials to local markets. . The Minister also directed the formation of a committee of the Central Organization for Standardization and Quality Control to develop mechanisms for the examination and marking of gold and silver jewelry and precious metals and to establish strict procedures to control the entry and exit of jewels and jewelry through border crossings.